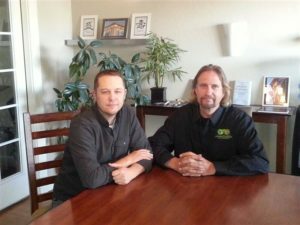 From the pre-design phase, to the construction phase, Jason Hale and James Lazok strive to bring forward the maximum in potential in terms of effective design, energy efficiency, and green build features into your residential, commercial, or land development project. We concentrate not only on the techniques in use, but the awareness and impact of the decision making process which extends your insight beyond the physical attributes of the building. We work with forethought towards not only the creation, but ongoing maintenance, investigations, potential upgrades, and planning that goes into your project well after your building is put into use. James Lazok and Arnold Cox have worked together for over 30 years and have teamed up to offer a larger gamut of site work to include residential, commercial and land development services to customers throughout the Southwest area. 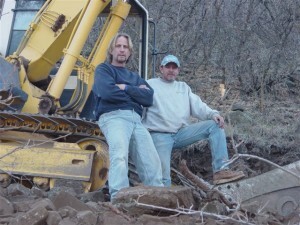 We offer services to include environmentally sensitive infrastructure and performance based specification strategies to deliver the tools and technologies needed to achieve fully integrated processes and systems for infrastructure planning, land clearing, utility installation, contracting, construction, sub-base, mass-final grading, paving, preservation, and maintenance. There are few arenas more promising in the world of commercial / residential construction than that of sustainable building. 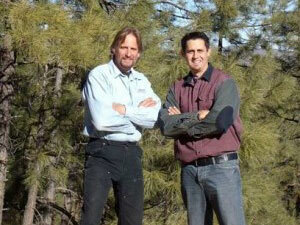 At the cutting edge of this rapidly growing field are partners James Lazok and Daniel Olague. From harnessing the sun’s natural energy to both heat and energizing the building to using computers for maximum operating efficiency, we bring a sense of unlimited potential to every project. We also aspire to be both knowledgeable and aware of the latest cutting-edge trends in environmentally friendly construction procedures. With our emphasis on green building principles, we consistently undertake projects with the commitment to achieving the highest standards in our industry.